The Hooson Award is a financial grant for young people who are hoping to develop a career in agriculture, horticulture or the rural sector. Jack Davis, winner of the 2015 Hooson Award tells us about his time in the Kent Young Farmers and winning the Hooson Award. I have been a member of Kent Young Farmers since the age of 12 and it has given me the chance to grasp a wide range of opportunities that have been available to me. I do not have a family farm at home and none of my family are involved in agriculture however, since joining Cobtree Young Farmers nearly 11 years ago, my passion for agriculture has grown and evolved and I find everything from sheep to viticulture interesting now! 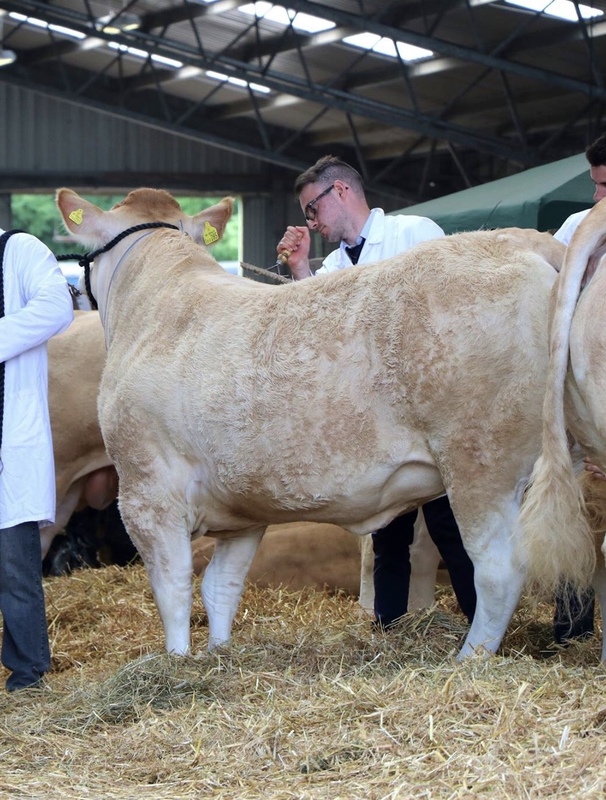 I was very lucky to have been awarded the Hooson Award in 2015 and this not only gave me an opportunity to meet and present to members of the Kent County Agricultural Society, it also gave me financial support to complete my studies at university and continue to grow my small herd of pedigree British Blonde cattle which I started in 2013. I am now a graduate of Harper Adams University, (the best rural university in the UK despite what that lot in Cirencester say! ), the Blonde herd is growing with a heifer calf born in July this year and another expected before the end of the year. I am also now in my 6th week of my new job as an agribusiness consultant at Bidwells in Cambridge and thoroughly enjoying it, although I do miss the Kent countryside which is entirely different to here in Cambridge. If I can give advice to anyone trying to start out in agriculture it would be to push yourself out of your comfort zone, never be afraid to ask questions and listen to what everyone has to say – everyone has an opinion on everything in farming but don’t be afraid to go with what you think is the best way either. Finally if anyone would like to know more about Harper and what it is like there, or would like some help finding work experience or ask me anything at all please do not hesitate to get my contact details off Lucy Hegarty or just message me on Facebook.